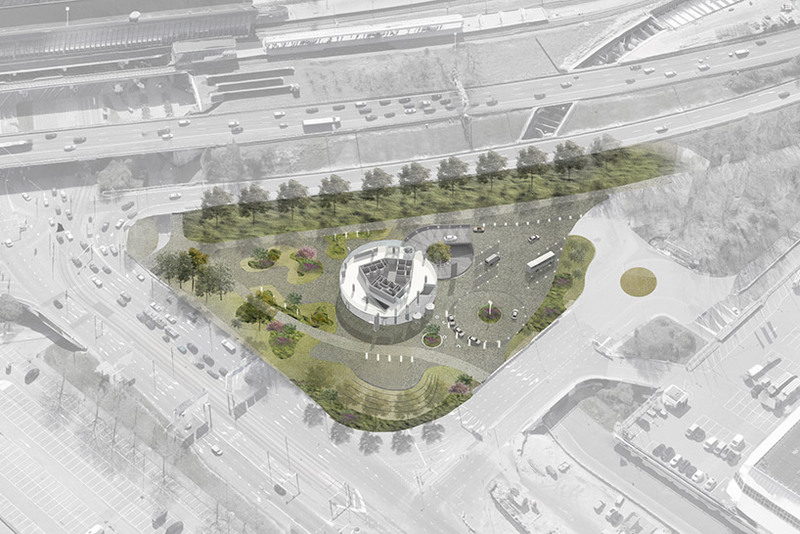 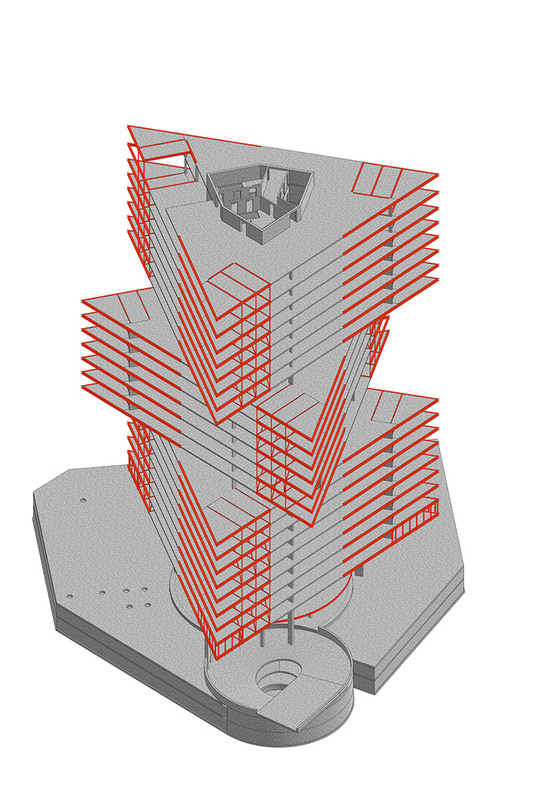 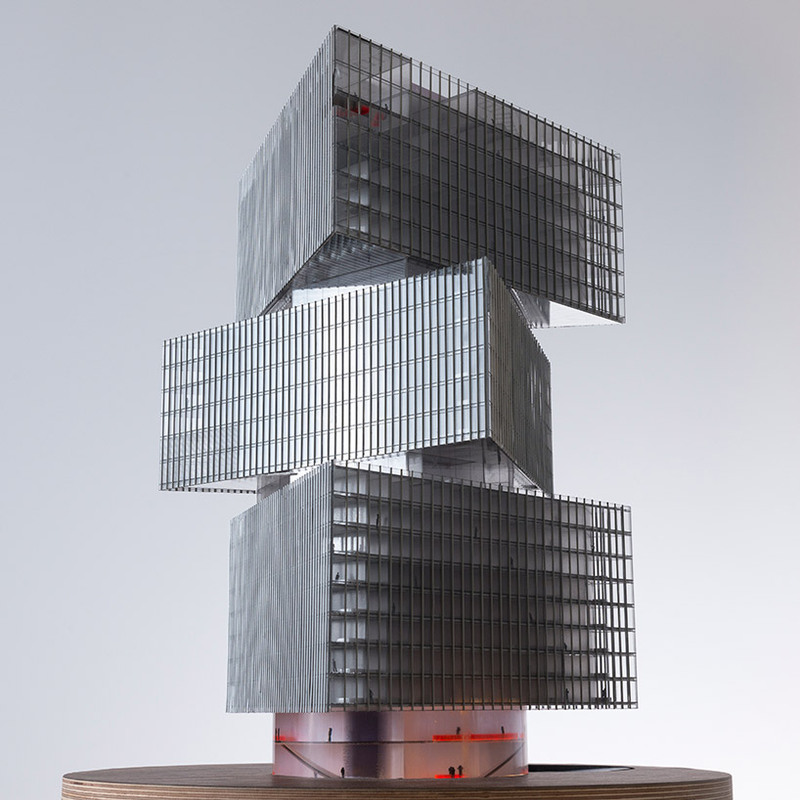 back in 2015, renowned studio OMA got the go ahead for its dynamic vision for the new Nhow amsterdam RAI hotel. 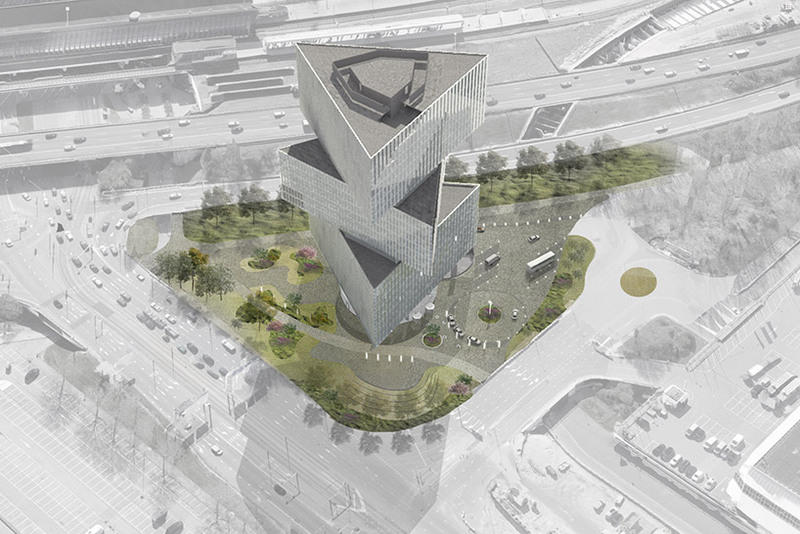 chosen from 11 other candidates, the OMA / reiner de graaf-designed building illustrates, with an innovative design, the careful merging of the current RAI complex and an updated look. 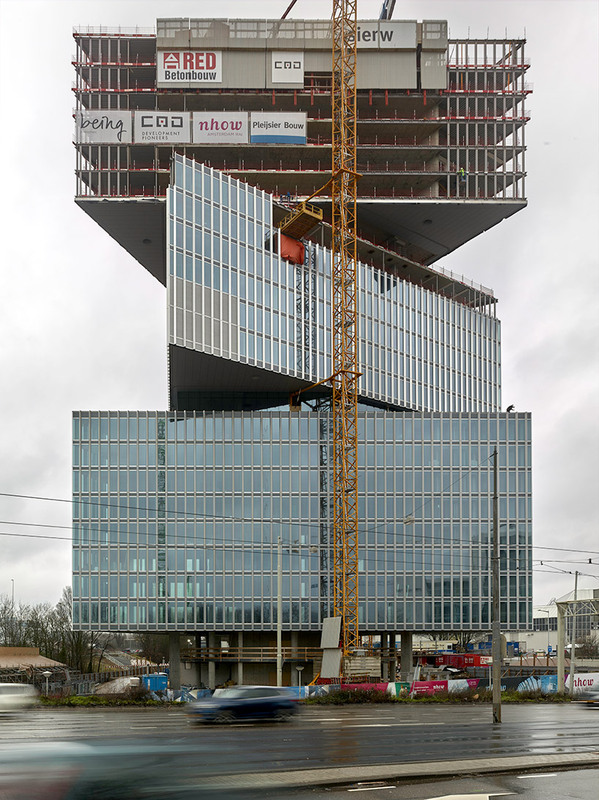 almost four years after, the structure has reached its highest point of construction at a height of 91 meters (almost 300 feet). 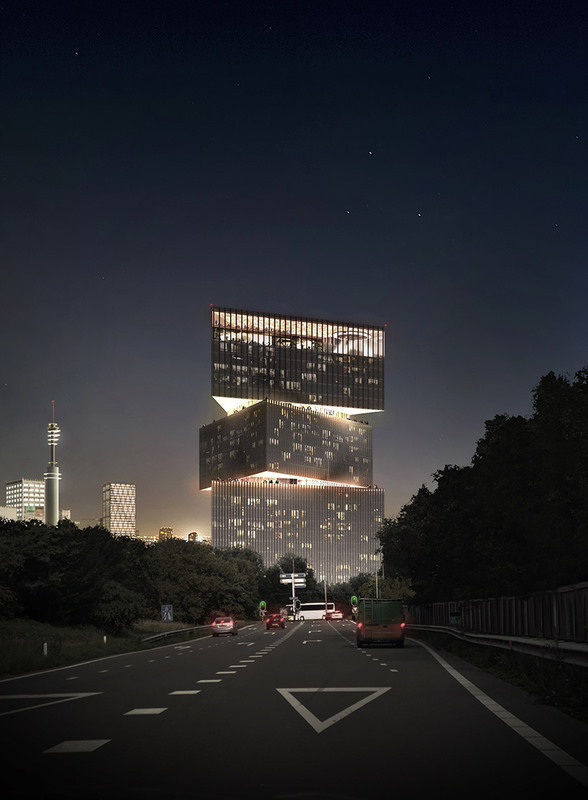 with 25 floors and 650 hotel rooms, it will be the largest hotel in the benelux. 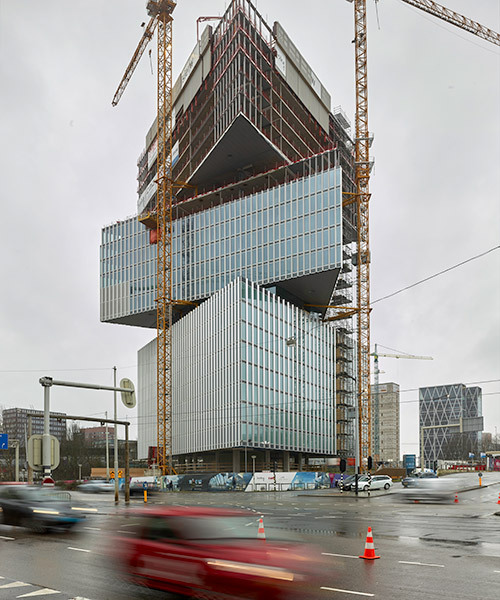 located on the rapidly developing zuidas business district, the OMA / reinier de graaf-designed nhow amsterdam RAI hotel complex includes a restaurant, bar, and a live television studio, providing places for both work as well as entertainment. 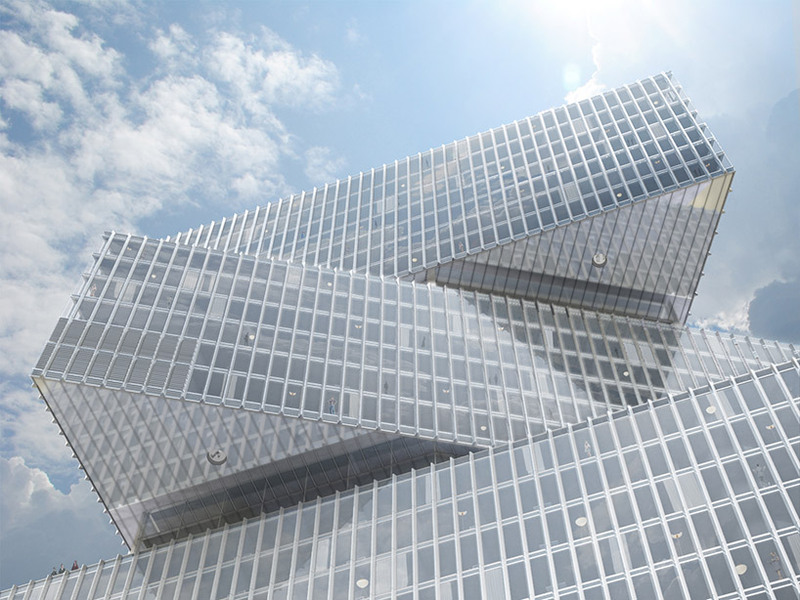 featuring three unique shifted triangular volumes, the shape draws from the adverting column on europaplein, which was once so prominent on the site, but now has been overtaken by the many office buildings that have been erected in the vicinity. 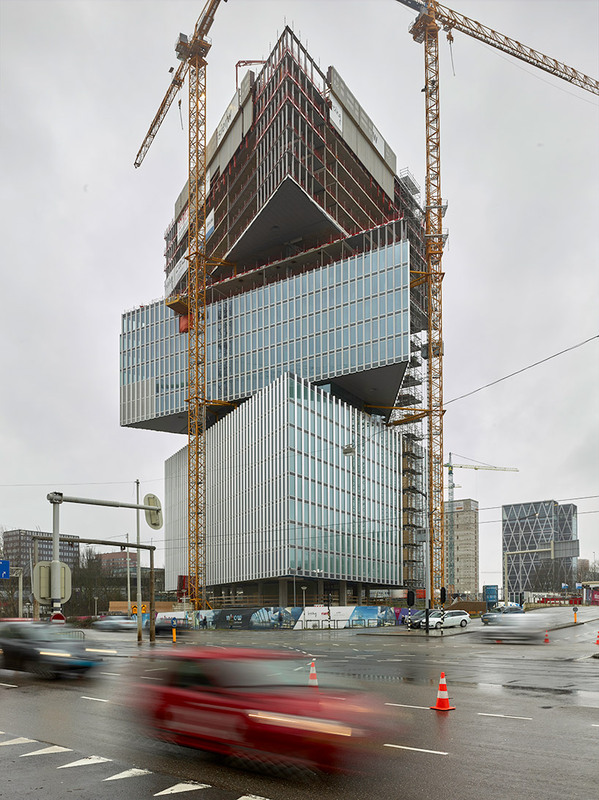 clad mainly in aluminum with a filling of glass panels, the façade is set to become a new highlight in the amsterdam skyline.